ProTalk door entry systems allow you to open the door using your VoIP phone, and you can chose the code used. To do this, login to the web interface and click on Basic parameters. Edit the settings in Hang up phone, entering a two digit code to use. Click save changes to save the settings. You then simply need to dial * + the code to open the door. n.b. if you have two entries, e.g. 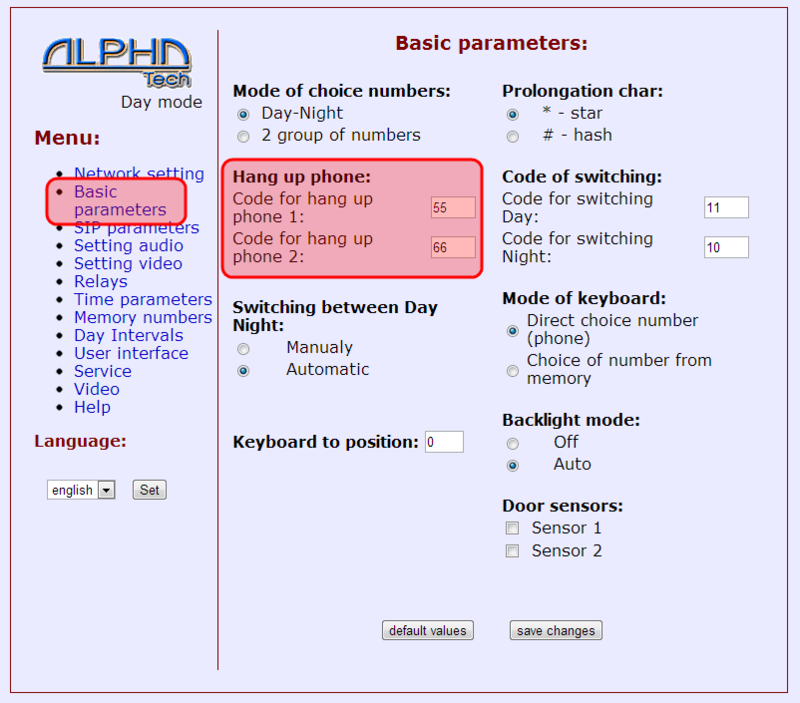 "phone 1" and "phone 2" then these refer to each ring button on the unit itself, e.g. if you have two separate doors and need to select the correct one to open.